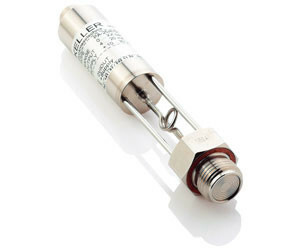 Bestech Australia has introduced a pressure transmitter specifically designed for the food industry, the series 35 X HTC. It is a high-temperature resistant pressure transmitter capable of measuring pressure at media temperature up to 300°C. What makes it possible is the oil-filled capillary situated between the flush diaphragm and the silicon measuring cells, which functions as a cooling spiral. This piezoresistive pressure transmitter is digitally compensated for temperature and non-linearity using a micro-processor electronics integrated with 16-bit A/D converter. This allows the sensor to achieve a maximum measurement accuracy of 0.05% with long-term stability. The sensor is also capable of generating both analog output of 4–20 mA or 0–10 V and digital output of RS485. The sensor is best operated with the READ30 and PROG30 software to monitor the pressure signal and the temperature of the inside electronics, respectively. Using a BUS-system, up to 128 transmitters can be hooked together and data can be displayed in a single PC. Monitoring the temperature of the inside electronics is crucial as the temperature may not exceed 120°C. Sensors can also be customised with different materials for pressure measurement in a highly aggressive media. Key features include pressure range of 3–1000 bar, 0.002% full-scale resolution and optional IP67 protection level. 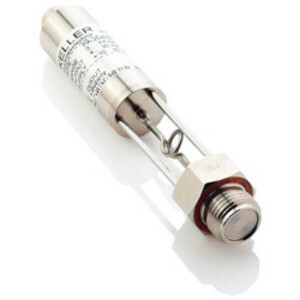 I am interested in Bestech Australia 35 X HTC pressure transmitter .